Acne has many faces. It starts in when our hormones wake up at ages 11-14 and can continue into our 50s and through menopause. In between, it can change year to year, even month to month and certainly decade to decade. The good news is that never before have there been so many good acne treatments available. And even, if acne isn’t “curable” in the true sense of the word, it’s very controllable and can usually be improved by 80-90%. That’s pretty good. Acne is complicated. It exists in many forms and has many treatments. Your dermatologist will help you with it, but this article will give you the information you need to ask the right questions to figure out the right acne treatments. What are the Available Acne Treatments? See my recommendations for acne skincare products you can try at home. Most often someone else in the family will have acne or a history of it, but this is not always true. 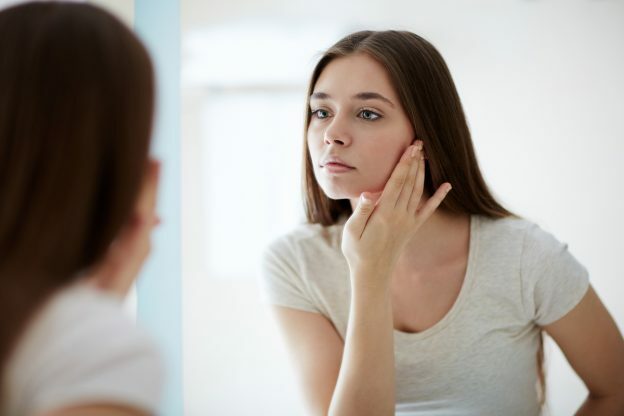 We understand the process of acne pretty well, but we don’t understand all of its causes or why it occurs in particular family members and not others. Hormones in both males and females surge around ages 10 to 14 and stimulate the oil glands on the face, chest, and back to secrete more oil. The oil glands connect to hair follicles -tiny canals for hair – and the oil empties onto the skin through the hair follicle. The overabundant oil (called sebum) gets mixed with dead skin cells from the hair follicle and forms a plug. Bacteria then begin to grow in the mixture of oil and cells. These bacteria release chemicals that cause inflammation, which then breaks down the follicle. The oil, dead cells, and bacteria then spill into the surrounding skin, causing more inflammation, swelling, and pus. How bad the acne is depends on how big the plug (comedone) is, how deep it is in the skin, and how much inflammation it causes. If the plug is close to the surface and there is not much inflammation, you might have just a blackhead or whitehead. If the plug forms deeper down in the follicle then you might have a red bump or a pustule. If the plug forms very deep down and there is a lot of inflammation in the area, then a cyst forms. It is this type of cystic acne that usually causes scarring. There are many different types of acne, with treatments tailored to the different types. The kids in your family probably have different types of acne, and hence different acne treatments. Some of the material that follows may seem technical. But acne is in fact complicated. And the best way for you to educate yourself about your acne, or your children’s acne, is to roll up your sleeves and learn some of the specifics of acne. Dermatologists categorize acne in a numerical system I through IV. Here is a summary. All the different types of acne can occur on the upper neck, chest, and back as well as the face. Blackheads and whiteheads. Grade I is also called comedonal acne. Almost everyone has some of this type of acne in their teenage years. These blackheads and whiteheads are usually found in the T-zone area but can occur anywhere. There may be anywhere from a few to several hundred of these lesions depending on how severe the acne is. Grade I acne can usually be treated with acne washes and topical treatments. Topical acne treatments are gels, lotions, or creams. Red bumps. Grade II has comedones (blackheads and whiteheads) and red bumps (papules) and is more inflamed. It can occur only in the T-zone or be found all over the face. Common treatments for this type of acne are acne washes, gels, lotions or creams, and sometimes with oral antibiotics. Pustules. In grade III acne, the red bumps from grade II contain pus and are called pustules. Sometimes these pustules can be very inflamed and lead to scarring. If you have just a few comedones and pustules, your doctor might prescribe acne washes and a gel, lotion, or cream. If the acne is more severe, your doctor might recommend oral antibiotics, oral contraceptives, or in cases with scarring, even Accutane. Cystic acne. Grade IV is cystic acne, which is all of the above plus cysts that are tender, deep, and hard. Whether the cysts are large or small, if this acne is causing permanent scarring, most dermatologists will prescribe Accutane. It is the most effective medication for this type of acne. If the cysts aren’t so severe or there is no scarring, a combination of all of the above-mentioned acne treatments might be used with the exception of Accutane. Most preteens and teenagers starting their sexual development have at least mild acne at some point. Oil secretion definitely increases, and blackheads and whiteheads often develop. As the teen years progress and especially if there is a family history of severe acne, the acne can become quite severe with large cysts and subsequent scarring. Acne in the teens tends to be unpredictable, because the hormone levels of teenagers fluctuate so much. Young women in particular have irregular cycles and menstrual periods that are not yet established. Their estrogen and progesterone levels may be changing quite a bit from month to month. In addition, young women can have menstrual cycles in which an egg is not released; this affects the hormone levels even more. This is why the mild acne on your 16 year-old daughter can turn severe in a matter of months. In addition, most teenage acne is concentrated through what is called the T-zone area, the forehead, nose, and chin, although it may go on to involve the cheeks. Also, our skin in the teenage years and early 20s tends to be much oily than in our 30s, 40s, and 50s. This is very individual though. Some people have extremely oily skin that persists even into the 30s and 40s and tends to be acne-prone even then. Others have oily skin only in their teens, and by their 30s have drier, clearer skin. Acne in the 20s and 30s. Usually your skin is already beginning to be less oily and breakout prone if you had acne in your teens. Sometimes though, acne may start in the 20s or even 30s after clear skin in the teenage years. Again, changing hormones are usually the culprits. Remember, if you have recently gone off oral contraceptives, this probably accounts for the more severe breakouts. If your acne is mild, give the non-prescription medications a try for two or three months, then see your dermatologist. If your acne is moderate to severe, make your appointment right away but use the non-prescription acne treatments until you can be seen. This is why you really need a good doctor. Most acne can now be controlled, but there are so many options for acne treatments that you need a customized treatment plan. If your acne is mild, it’s perfectly fine to try the over the counter remedies. Most of these have benzoyl peroxide or alpha or beta hydroxy acids in them. But if your acne is moderate or severe, make an appointment with your doctor. A good primary care physician will be comfortable treating mild to moderate acne. A dermatologist should treat severe acne. In my opinion, one of the main goals of acne treatment is to prevent permanent scarring. If you are developing permanent scarring, your dermatologist may move rather quickly to oral antibiotics, oral contraceptives, or Accutane. For less severe types of acne, cleansers and gels, lotions and creams may be very effective used alone or in combination with the oral medications. Remember that discoloration is different from permanent scarring. Permanent scarring is a depressed, raised, or white area that does not go away. Discoloration is red or brown; it may last for months but is almost always temporary. With temporary discoloration, the skin is soft and flat and there is no indentation or change in texture. Don’t pick! Picking can cause scars. It’s normal to get a bit red or irritated. Using a moisturizer often helps. Stop the medicine and call your doctor if you stay red or irritated for more than a week. Most acne washes are formulated for oily skin and are most appropriate for patients in their teens and 20s. Non-prescription acne washes usually contain benzoyl peroxide (either five or 10 percent) or sometimes glycolic or salicylic acids. Prescription acne washes are similar but are usually a bit stronger or formulated to be less drying. If your skin is dry or sensitive, these non-prescription washes will usually just irritate you and should be avoided. Also, acne treatments can be irritating in themselves so it may be best to use a gentle, nonirritating wash like Cetaphil Lotion Cleanser. While non-prescription products may be fine if you have very mild acne, you may need prescription items to make much headway. Most of the over-the-counter gels, lotions, and creams (topical agents) contain low strength benzyl peroxide, a little alpha hydroxy acid, salicylic acid, or retinol (which is different from Retin-A). Fortunately, there are a lot of different prescription gels, lotions, and creams for your dermatologist to choose from now. Almost everyone can find a prescription acne treatment they will tolerate well and that will work for them. You may need to try several for your doctor to find the right ones for your skin. Don’t get discouraged if the results aren’t instant. It takes eight to ten weeks to tell if an acne medicine is working. Gels tend to be used for oily skin, whereas lotions and creams are usually prescribed for patients with drier or sensitive skin. 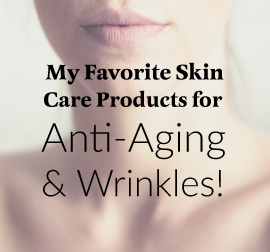 Some of the choices include vitamin A derivatives like Renova/Retin-A/tretinoin. Other names for this medication include Avita or Retin-A Micro. These are all the same basic drug, tretinoin. Another vitamin A derivative is Differin cream or gel, which is also related to vitamin A but may be slightly less irritating. Tazorac is similar but also can be irritating. Apply them at night because sunlight inactivates them. Be sure to use a sunscreen with an SPF 15 or greater in the morning since the vitamin A derivative may make you slightly more sensitive to the sun. Wash your face with a very gentle cleanser and dry it thoroughly. Wait 10 to 30 minutes before applying the vitamin A cream to reduce the chance of skin irritation. Apply one pea-sized amount for the entire face and spread it gently over the whole face. Don’t just dot it on lesions. Avoid waxing, scrubs, or depilatories that may irritate the skin if you are using Retin-A or another vitamin A derivative. If you are having a facial or microdermabrasion, be sure to let your aesthetician know ahead of time. You may need to stop the Retin-A temporarily. A secondary benefit of Vitamin A products as acne treatments is that Renova/Retin-A/tretinoin has been clearly shown to help reduce wrinkling over time as well. 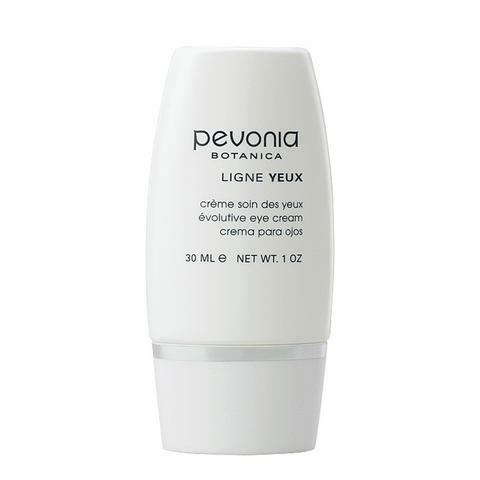 Renova is a form of Retin-A that is formulated in a moisturizing base to facilitate use in older, drier skin. Also, the concentration of Renova/Retin-A/tretinoin probably doesn’t matter very much. Excellent effects over time are seen with the lower concentrations. The higher concentrations definitely cause more irritation but don’t necessarily work better. Azelex and Finacea are relatively new but excellent treatments for mild to moderate acne. They are usually used twice a day and are significantly less irritating than vitamin A derivatives like Retin-A or Differin. Some doctors recommend them in combination with other topical acne treatments, so that Retin-A, for example, would be used at night and Azelex or Finacea in the morning. The Azelaic acids have also been shown to reduce the brown spots that some people get from long-lasting acne lesions. Antibiotic/benzoyl peroxide combinations, like Benzamycin and Duac. This is a combination of benzoyl peroxide with erythromycin, which is a topical antibiotic. It is also excellent for mild to moderate acne and is usually less irritating than vitamin A derivatives but slightly more irritating than Azelex. Its one disadvantage is that it has to be stored in the refrigerator. It does last, however, about a week out of the refrigerator. So you can put a week’s supply in your bathroom and then refill it weekly from the refrigerated container. Use white towels because benzoyl peroxide bleaches towels. There are a number of antibiotics that come in gel, lotion, or cream form. Some of the most common are clindamycin, erythromycin, and topical metronidazole, the last of which is usually used for rosacea. These are often used for mild to moderate acne. They may be used alone but are more often used in conjunction with one of the above-mentioned topical medications. Moderate to severe acne usually does not get better with topical (gels, lotions, and creams) medications alone. The inflammation is too advanced and the plug in the hair follicle is too deep. Usually a more systemic medication like an antibiotic can tackle the deeper inflammation and bacterial growth in the follicle. Oral antibiotics fight the bacteria in the acne lesion and some have anti-inflammatory properties as well. Some of the most commonly prescribed antibiotics include minocycline, doxycycline, tetracycline, erythromycin, or sometimes amoxicillin or penicillin derivatives if you are allergic to some of the antibiotics mentioned above. Oral antibiotics are usually prescribed once or twice a day. One strategy is to start with various washes, gels, or creams and use them for two or three months. If at the end of two or three months there hasn’t been much response, your dermatologist might then add an oral antibiotic to take for several months. Another strategy is to start acne washes, gels, or creams at the same time with an oral antibiotic. If you are doing well on your next checkup, your dermatologist might ask you to try discontinuing or tapering off the oral antibiotic. The trend in dermatology is to prescribe oral antibiotics less frequently and for more limited time periods. It is clear now that using oral antibiotics for acne over long periods of time helps to breed antibiotic resistance in our society as a whole and possibly in individuals. Also, many women are prone to vaginal yeast infections while they are taking oral antibiotics. Oral antibiotics are no longer the only weapons against acne. Other treatments have lessened our reliance on them. Still, there are some situations in treating acne where they really are the best choice. This is why it is important to have your treatment individualized by a dermatologist. Oral contraceptives can be extremely effective in treating acne, particularly for young women in their late teens, 20s and 30s. The other health risks associated with oral contraceptives go up significantly after the age of 35 especially if you are a smoker. It is important to consult with your doctor before taking oral contraceptives for acne, especially if you or any other family members have a history of blood clots. The first medication to be approved by the FDA for use in both birth control and in the treatment of acne was Ortho-Tricyclen. There are now several others that are approved or in the process of being approved for this use as well. They work by stabilizing hormone levels from month to month. There have been a few reports that taking oral antibiotics with oral contraceptives may decrease their effectiveness. It may help to take them at different times of day. Report any break-through bleeding to your doctor. It is important to know that if you go off of your oral contraceptive, your acne will almost certainly get worse, perhaps not right away, but within several months. Oral contraceptives can be used in combination with acne gels, lotions, creams, or acne washes. This medication can be very helpful in some types of acne. It has been around for 30 plus years and was originally used to treat kidney problems and high blood pressure. In low doses, which are the doses for acne, it mainly inhibits testosterone. Testosterone is a “male” hormone but is present in women. Women have a wide range of normal testosterone, and taking spironolactone will bring your testosterone level down a little. Doctors sometimes prescribe spironolactone for women who have polycystic ovary disease. This disease can lead to elevated levels of “male” hormones in the blood, ovaries that don’t produce eggs regularly, increased facial and body hair, and acne. 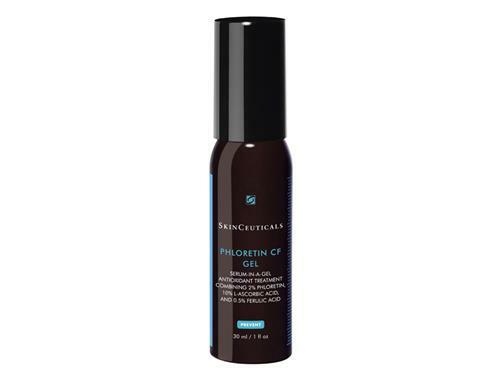 Spironolactone helps to reduce the hair growth and control the acne. Besides helping to control acne and excess hair growth, it has a positive side effect in many women of reducing PMS-type symptoms slightly. It seems to reduce the bloating that occurs pre-period. You shouldn’t take it if you have low blood pressure or borderline low blood pressure, because it may lower your blood pressure just slightly and make you dizzy. In women with normal blood pressure or even slightly elevated blood pressure, this is a positive side effect. This medication cannot be taken if you are pregnant or thinking about getting pregnant, since it may affect the development of the male fetus’ genitalia. Accutane is a close relative of vitamin A. Accutane, like certain doses of vitamin A, can cause birth defects. Your doctor will ask you to not take extra vitamin A in pregnancy for this reason. Because Accutane can cause serious birth defects, your dermatologist will require you to use two methods of birth control and to take monthly pregnancy tests. But it is up to you to use the birth control and to make responsible decisions regarding your sexual activity. Fortunately, Accutane is also cleared out of your system fairly quickly. Even so, I ask my patients who have completed a course of Accutane to wait six months before they try to get pregnant. Accutane/isotretinoin. Accutane should be reserved for severe acne that is usually either cystic or scarring acne. It is also sometimes used to treat men and women who have had multiple other therapies for a reasonable period of time but have not responded. For severe acne, especially in the teens and 20s, Accutane is far and away the most effective medication. If you are in that category, you have about an 80 percent chance of not needing further oral medication for your acne after you have completed a six-month course of Accutane at the correct dose. The other 20 percent who take Accutane may have a recurrence of your severe, cystic acne, in which case you can be treated a second time with a good chance of an effective second course. It is rarely used more than twice. Accutane should be prescribed by a board certified dermatologist and monitored monthly or more often. Patients using Accutane/isotretinoin must thoroughly understand the side effects of this drug. Prevention of pregnancy with two methods of birth control is a must, since the drug causes severe birth defects if taken during pregnancy. Your dermatologist will require an office visit with a careful history and examination. You will also need two negative pregnancy tests before starting Accutane, a screen of blood fat levels (cholesterol and triglycerides), and a liver function test. These tests will be repeated on a monthly basis over a course that usually lasts four to seven months. Two methods of birth control are also required while on Accutane. This, for example, might be oral contraceptives plus condoms. When used and prescribed correctly, Accutane is a wonderfully effective drug for severe acne. Be sure to discuss it with your dermatologist if you have severe or scarring acne. Accutane has been used to help ten of thousands of people who suffer with severe acne. It is a very safe drug when used correctly and responsibly. Everyone who takes it will feel dryer and have dry lips. Your dermatologist will change your skin care to compensate for this. I often have my patients wash and moisturize with Cetaphil products for the duration of treatment. You’ll also need to use lip balm (like Aquaphor) approximately once an hour to prevent the lips from cracking. A blood test will be done monthly to check for pregnancy (see above). The test will include a liver test (rarely a problem unless excessive alcohol is being used) and a test for blood fat levels, cholesterol, and triglycerides (these go up on Accutane but come back down after you are off it). I also tell my patients to report unusually severe headaches or headaches that last overnight. If you get one like that, just don’t take any more Accutane and give your doctor a call. Also, let your doctor know if you start to feel blue or depressed while you are on it (another rare side effect). It really depends on what type of acne you have. If your acne is mostly comedonal (blackheads and whiteheads) or with a few red bumps (papules), it should respond well. Usually a series of microdermabrasion treatments followed by maintenance treatments will be recommended. Other types of acne, particularly those red (inflamed), very pustular or cystic, will get worse. With these types of acne, microdermabrasion is not advised without first being seen by a dermatologist. You may need to have the inflammation brought under control first. If you aren’t sure, call your dermatologist and ask before you get started. Many dermatologists now offer microdermabrasion in their offices so that you can be assured of getting treatment geared to your particular skin problems. Learn more about microdermabrasion. Facials by an experienced aesthetician may be helpful if you have mild to moderate acne. The aesthetician will normally steam your face and gently, and the key word is gently, extract some of the plugs in your pores. If there is any bruising, find another aesthetician. Facials can be done monthly and are usually compatible with treatments prescribed by your dermatologist. 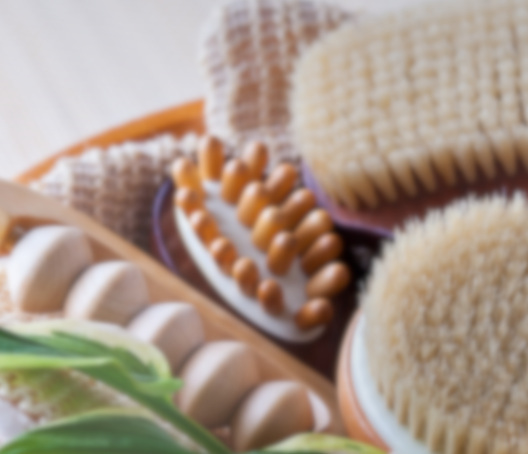 Just be sure to let both the doctor and the aesthetician know what medications and skin care products you are using. If you have moderate to severe acne, find an aesthetician who works in an office with a dermatologist before undertaking any facials or microdermabrasion. If these aren’t done correctly, they may make your acne worse. Photodynamic or “Blu Light” therapy involves painting a clear liquid (aminolevulinic acid or ALA) on the skin and then incubating it for thirty minutes to two hours (sometimes longer than that). You can read or do other things while you wait as long as you have no sun exposure. The ALA is a compound found inside of our red blood cells. It is completely natural and is produced in the laboratory. What the ALA does is make your skin, and the acne lesions on the skin, very sensitive to certain wavelengths of light. The light, whether it’s a laser source or a pure blue light, for example, causes activation of the ALA which then selectively damages cells to achieve a purpose. This process, originally developed for precancerous spots, has now gone on to be used for problems like acne and sun-damaged skin. When used for acne, the ALA soaks in to the oil glands that become inflamed with acne. When the light activates the ALA, it causes redness and often peeling, which improves acne over a series of treatments. Sometimes there is a little peeling, sometimes a lot. The amount of peeling is hard to predict for any particular patient. This is not a cure-all for acne. In fact, there is no cure-all for acne, except perhaps Accutane for cystic acne. But Accutane is a prescription drug that must be carefully monitored. There is a certain unpredictability when a laser or a blue or red light is combined with ALA. The incubation time for the ALA and the light source to activate is still under discussion. A recent study showed that even ambient light (normal room light) activates it somewhat. An experienced center can perform blue light acne treatments without complications, but you should understand that you may have some visible redness and peeling—in other words, downtime—for several days or up to a week or so. I have seen patients from other offices where the patient was told that this would be a no-downtime procedure. The patients were not happy to find that, in fact, they could not go to work for a number of days due to redness and peeling. In my office, we use photodynamic therapy (ALA with blu light or IPL laser) for precancerous lesions. We generally don’t use it for sun damage or acne because my patients don’t want the unpredictability or any downtime. But I do support use of the blue light for treatment of acne if many other treatments have failed and if the patient understands the pros and cons of the blue light treatment. There are several laser systems being marketed for acne treatment. The only ones that I think are really effective are the longwave lasers, like the Aramis. The long wavelength (1540nm) of these lasers penetrates into the oil glands, prevents the formation of plugs in the pores, and kills bacteria. You will need about 4 treatments scheduled 2 weeks apart for your initial series. The treatments take about 20-30 minutes each (allow an hour for the whole check-in and treatment), and cause very little discomfort. You may be a bit red for an hour or so after the treatment, but you can apply makeup right after the treatment. You will likely need maintenance treatments every 4 to 9 months. The Aramis is usually not reimbursed by insurance. A series of 4 treatments for the full face costs about $900. The price is less if your acne is just on the cheeks, or the forehead, or less than the whole face. Lasers like the Aramis do not cure acne. You may get an improvement of about 60%, but some patients get more and some less. Many patients do report a reduction in their oiliness, although I have not seen any scientific data to support this. But, like the blue light, if you can afford it, and if many different acne treatments have failed, you may want to consider a laser treatment for you acne. For mild acne, you can try the over-the-counter medications. These may be enough to help you. For moderate acne, you can see your primary care physician. Acne treatments options vary depending on your skin type, age, and hormone activity, and a doctor should customize your treatment. If you have severe acne, see a dermatologist. Dermatologists are trained to treat severe acne, and they will help you to prevent scarring and clear up your skin with the right acne treatments. See my guide to the best cosmetic dermatologists around the country. See Dr. Irwin’s expert answers to other reader’s questions on acne:Could I be getting acne on my neck? Will these products help me if I’m 24 with a little acne and brown spots? Can you help? I’m a male, 25 with acne and lots of oil. What about the home use acne devices? See all of Dr. Irwin’s expert answers to acne.